Our Goal: To provide cost effective solutions, enhancing or redesigning working environments in offices and maximise the efficiency of warehouse and storage facilities to improve the working environment and Client profitability. We provide storage solutions for warehouses, storage facilities, shop storerooms and offices. Also Office and Commercial Partitioning and Interiors. Chadwick Design Solutions are an independent Hertfordshire-based company providing office and warehouse planning, design and implementation to commercial, industrial and public sector clients. In-depth client consultation ensures that specific criteria are addressed and incorporated at the design stage and that the end result meets your needs on time and on budget. Our independence means that you, the client, are offered the correct products to meet your needs. Sourcing from major and minor manufacturers in the UK and overseas gives CDS the unique ability of ensuring that we find the correct equipment, often dovetailing different supplier products to fulfil your needs, as opposed to making your products fit our in-house equipment, which can be the case if you are dealing with one manufacturing company. With 36 years' experience in this market sector, CDS have successfully completed projects throughout the UK and Europe serving clients such as: British Airways, Portuguese Film Archive, Betterware, Monarch Airlines, British Film Institute, Pitney Bowes, Initial, Bosch Rexroth and Sunseeker International, to name but a few. Our reputation is your guarantee, as historically up to 70% of our new business has come from satisfied client recommendations. Storage equipment, shelving and racking to suit any requirement from small store rooms to multi-discipline warehouses. 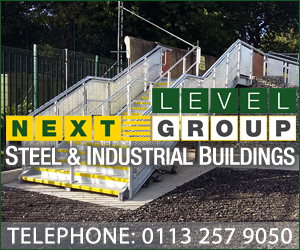 Mezzanine floors and raised storage platforms to maximise the potential of your premises. Operational appraisals, future planning, feasibility studies, Local Authority Planning & Building Regulations applications, office warehouse designs and layouts. 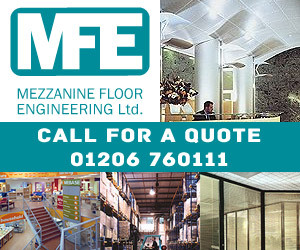 Interior design & refurbishment incorporating purpose designed solid, glazed and acoustic partitioning, suspended ceilings, decoration, flooring & office furniture.